Kimoyes item: 21537 - Bright green silky kimono silk with dyed design. Bright green silky kimono silk with dyed design. 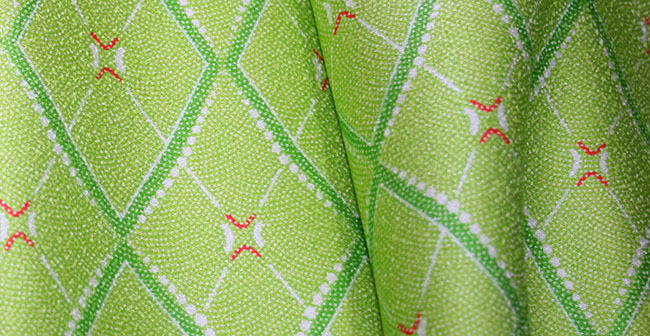 This silk also has an all over tiny raised dot pattern.